What is the strangest plant in the rain forest? Which rain forest animal is the creepiest? What medicines have been discovered there? How can we save our rain forests? 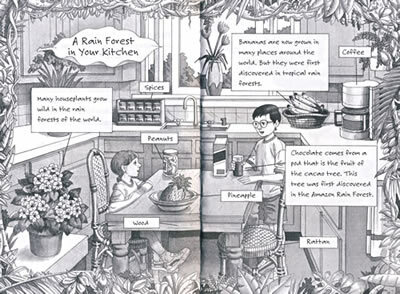 Find out the answers to these questions and more in Magic Tree House Research Guide: Rain Forests, Jack and Annie’s very own guide to the mysteries of the rain forest. Includes information on rain forests around the world; fun facts about rain-forest bugs, birds, plants, and animals; maps and photographs; and much more! 1. What Is a Rain Forest?